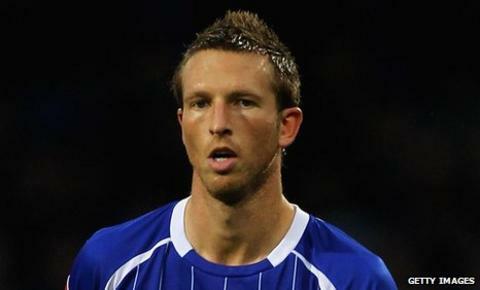 Stoke City defender Danny Collins has said he will leave the Britannia Stadium in January, but is unsure whether he will end up back at Ipswich. The 31-year-old has been on loan at Portman Road since the beginning of August and Town boss Paul Jewell is eager to keep hold of the Welshman. "I expect to move on," he told BBC Radio Suffolk. "That's just how it works in football sometimes. "I'll certainly be looking to get away in January." Saturday's visit of Derby will be Collins' final game of his Ipswich loan spell and the former Sunderland man is unsure whether he will return to Suffolk. "The gaffer Paul Jewell had a few words about me coming back," he said. "I'll go back to Stoke and see what happens. I'll speak to the manager there and see what happens between now and the start of January. "There'll be clubs hopefully who are showing interest but that's between my agent and the clubs at the minute."